How do Enjo Fibres work? Using just an ENJO Fibre and water, you can clean your home in half the time, with none all the chemicals and all of the health benefits! With conventional cloths clean superficially, leaving dirt and chemical residue in the crevices of surfaces, which is an ideal breeding ground for bacteria. However, using our fibre technology, water acts as a solvent to loosen, dissolve and weaken dirt particles. ENJO’s ultra-fine strands form a unique wedge shape to lift, trap and hold onto dirt leaving you with a safer, healthier and better clean. How clean is your clean? 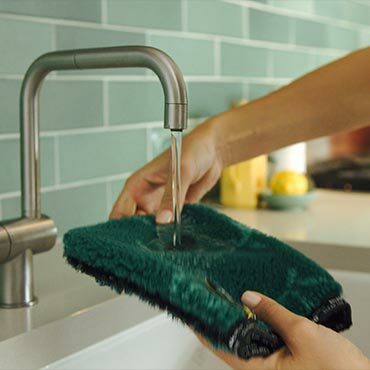 Add water to the fibre and gently squeeze out any excess by rolling the water gently through the fibre from top to bottom. 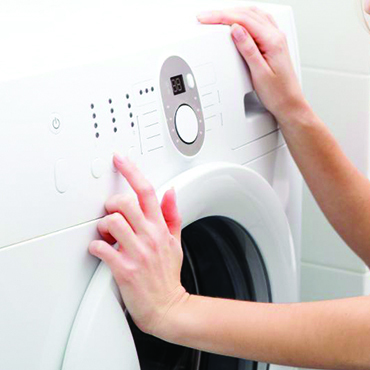 Use the damp fibre in a circular motion to gently clean and lift off grease, dirt and germs. 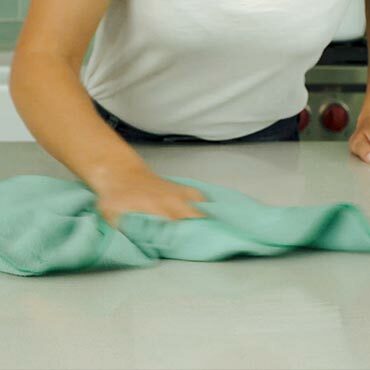 Using an ENJOfil, gently wipe the surface dry to leave a streak free, lint free shine. After 2-3 days use, we recommend placing your dirty fibres into an ENJO laundry bag and placing in them in the washing machine, as normal with your other laundry. Love it? Follow us & Share it!